Self-regulation in education is a familiar and important topic for all educators: professors, administrators, teachers, researchers, journalists, and scholars. As educational standards require that students take control of what and how they learn, self-regulation skills are essential to student success. Written by a leading expert on self-regulation and self-regulated learning, this book situates the topic within the broader context of educational psychology research and theory, bringing it to a wider audience. 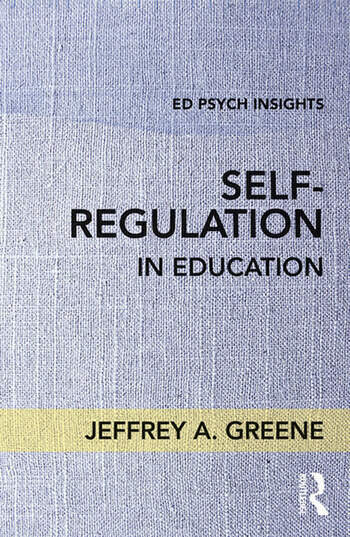 With chapters on the fundamentals of self-regulation, explanations of its uses, and advice for best application, this short volume is designed for any education course that includes self-regulation in the curriculum. It will be indispensable for education researchers and both pre- and in-service teachers alike.